Phone Amego 1.4.27 includes support for Grandstream IP phones. 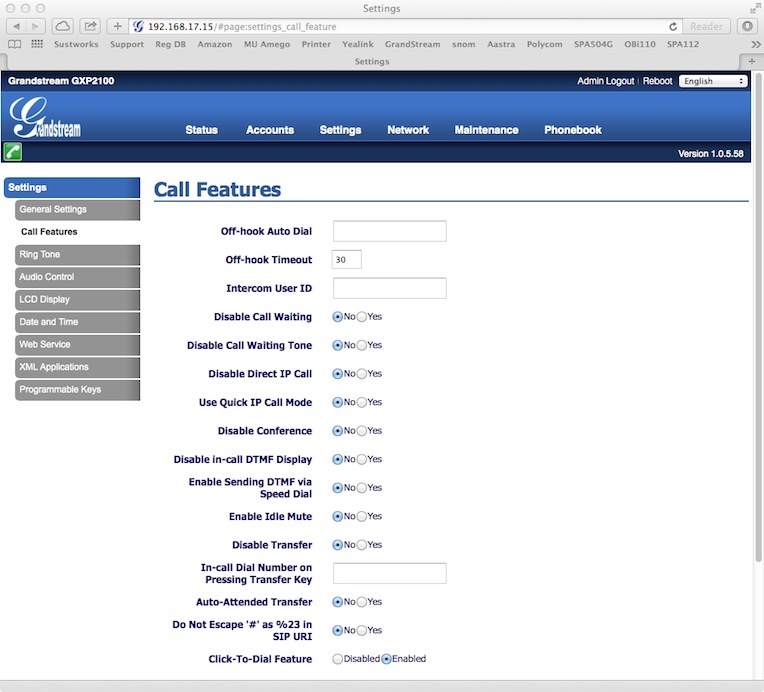 You can get on-screen Caller ID, call logging, dial calls, answer, end call, mic mute, and send touch-tones. You can add your phone to the Telephone Devices table by pressing + under the Telephone Devices table and selecting VoIP Phone -> Grandstream as the device type. To find the IP address of your phone, press Menu -> Status -> Network Status. The default login credentials for Granstream are username=admin, password=admin. For dialing, you must enable the “Click-to-Dial Feature” under “Settings->Call Features” in the web UI (see below). 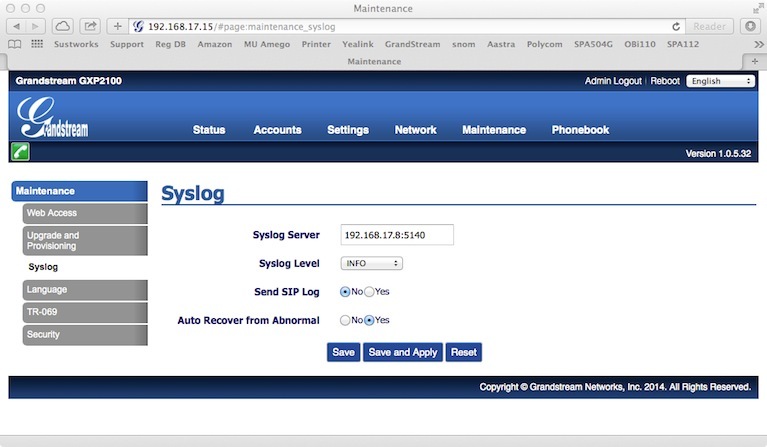 For inbound Caller ID, you must enable the Syslog feature with your IP address and port as shown. You can use the “Local HTTP Server” box under the Caller ID tab to find the correct Syslog server address and port by setting URL For phone to Grandstream, and the Event to Syslog Server. Set the Log Level to INFO. Once you have configured the Syslog feature at your phone, it is possible to add your phone as a telephone device in Phone Amego by pressing and holding the Command key while you lift the handset on your phone. This makes it easy to associate an individual phone with a corresponding computer as needed. I used a Grandstream GXP2100 for testing. This appears to be a very nice phone at a great price but the documentation for CTI is hard to find or non-existent. At this time Phone Amego relies on the Syslog feature for inbound Caller ID and device status. Any pointers would be welcomed. See the Grandstream forum for more information. Grandstream recently introduced Android based phones like the GXV3240 that offer amazing features at an attractive price (color touchscreen, built-in WiFi, Bluetooth, and SD card support). I have added support for dialing these phones. Inbound Caller ID is not available yet as I am waiting for Grandstream to update their firmware to include the Caller ID information in the phone’s syslog.